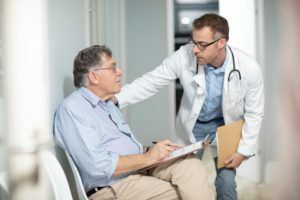 Study: Primary Care Doctors Increase Life Expectancy, But Does Anyone Care? Using multiple regression analysis, the researchers concluded that “primary care is by far the most significant variable related to better health status,” correlating with lower mortality, fewer deaths from heart disease and cancer, and a host of other beneficial health outcomes. By contrast, and perhaps equally deserving of shock-value, the researchers determined “the number of specialty physicians [i.e., surgeons, cardiologists, orthopedists, etc.] is positively and significantly related to total mortality, deaths due to heart diseases and cancer, shorter life expectancy,” along with a host of other worrisome health outcomes. What might these findings mean for the future of medical care? “From a policy perspective, a likely implication is to reorient the medical profession from its current expensive, clinically based, treatment-focused practice to a more cost-effective, prevention-oriented primary care system,” according the study’s research abstract, which was published July 1, 1994. That’s correct, the study was published 25 years ago. This isn’t a belated April Fool’s joke. It’s a reminder of medicine’s reluctance to change in the face of powerful data. Instead of acknowledging the inconvenient facts and heeding the conclusions of the study, the healthcare system hasn’t budged in the last quarter century. As a result, our nation’s primary-care problem has only gotten worse. So, too, has the health of American patients. The most recent study to analyze the value of primary care – published February 18, 2019 in JAMA Internal Medicine – not only confirms decades of prior research, but also spotlights troubling trends in workforce planning, physician reimbursement and residency training.